Rambling Thoughts of a Southern Lady: Fibromyalgia Drug Market Will Experience Minimal Growth????? Our beautiful niece, who is the wife of a member of the Armed Forces and mother of two adorable sons, suffers from chronic pain. I think somewhere in the back of our mind we always hope that not only our children but our nieces and nephews as well, will want to follow in our footsteps. 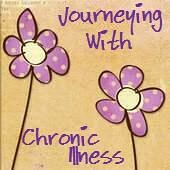 Sharing my chronic pain was never the way I would have chosen for her. Yesterday she sent the following to an on-line support group we both belong to. and in the 1700's Alexander Pope wrote what I consider to be the first draft of the spoon theory: You purchase pain with all that joy can give, and die of nothing but a rage to live. So why is it so difficult to get doctors to take chronic pain seriously? I wish I had the scientific ability to help us. The people who do seem to have the knowledge don't have the desperate (personal) need to find a better way. Sigh. Thanks for listening to me vent. After reading her email and wishing that I had some wonderful words of wisdom that would take her pain away, I went to Facebook. 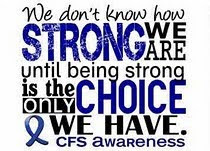 I belong to several fibromyalgia related pages there and the first one I looked at gave me a slap in the face. There it was is big bold print – “The Fibromyalgia Drug Market Will Experience Minimal Growth over the Next Decade, Increasing from Nearly $1.6 Billion in 2010 to Less Than $1.8 Billion in 2020”. What???? There is still not a drug that successfully treats everyone. There is still not a drug that you don’t have to choose between less pain and horrific side effects. 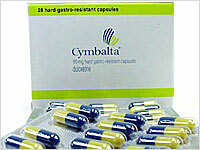 The press release came from Decision Resources, a research and advisory firm for pharmaceutical and healthcare issues. In the last two paragraphs, they admit that there is “significant unmet need”. Because fibromyalgia is a difficult condition to treat—its symptoms vary widely from patient to patient and can include pain, depression, fatigue and sleep dysfunction—significant unmet need remains for effective treatments. The American Chronic Pain Association estimates that there are about 86 million people in the United States that cope with some form of chronic pain. Fibromyalgia syndrome is one of the most common chronic pain conditions in the world. According to the National Fibromyalgia Association, 3-6% of the world’s population has fibromyalgia syndrome. With a projected world population of 6,816,322,780 in April 2010 (based on the US Census Bureau’s US and World Population Clocks), this estimate would mean that somewhere around 200 million to 400 million people worldwide have fibromyalgia syndrome. In the United States the number is estimated to be around 3 to 6 million people. This number varies from organization to organization. The NWHIC (National Women's Health Information Centre – part of the US Department of Health and Human Services) suggests that the figures could be as high as 8 million. Given those numbers and the industry’s own admission that there is a significant unmet need, why are they cutting back on drug research? I followed the link in the press release to Decision Resources website to read the full report. Down towards the bottom I found the answer – money. The two sales-leading fibromyalgia agents (i.e., pregabalin and duloxetine) will face generic competition during the 2010-2020 forecast period. How will the patent expiry of each branded agent affect the sales of other fibromyalgia therapies and the market as a whole? How will patent expiries influence physician prescribing habits in the different markets? To what extent will generic presence of these two agents affect the commercial potential of emerging therapies? A controlled-release formulation of pregabalin is expected to launch for fibromyalgia during our forecast period. What advantages does this formulation offer over immediate-release pregabalin, and will they be sufficient to compete with generically available pregabalin (expected by 2019)? What are thought leaders’ opinions on this agent’s potential in the fibromyalgia market? Are any other therapies in development for fibromyalgia expected to launch during the ten-year forecast period? Research is going to slow down because the major players in the game, pregabalin and duloxetine (Lyrica and Cymbalta) will become generic soon. Research is going to slow down because an extended release version of Lyrica is expected to come on the market. Research is going to slow down because of what may happen. Ten years is a lot of time no matter how you look at it. In research, it’s a huge amount of time. How much time is going to be lost on finding “the drug” that could possibly give us at least a portion of our life back? Research time will be wasted because of what may happen. Those of us who suffer from chronic pain, no matter what its cause, have the right to have our pain prevented or controlled adequately. We don’t like taking medication. 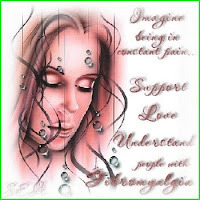 The majority of fibromyalgia patients must take them to be able to function. The longer we take a medication, the less effective it is. 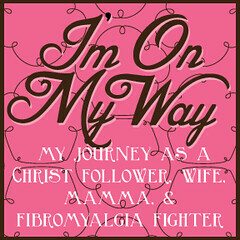 The longer we suffer from fibromyalgia the more it progresses, taking a little bit more of our life away every day. Every day that we wait for adequate pain control, is a lost day in our lives. Slowing down research for 10 years means the potential of 3,650 lost days. That’s almost 4,000 days that we aren’t able to be the person that we want to be. It’s missed school plays and play dates. It’s missed dinners at home with our family sharing the day’s happenings and missed dinners alone with our spouse. It’s days that we see our family off to have fun without us. Days where we smile and tell them to have a great time as they are leaving. Days making us feel even more outcast and alone because of our pain. I’m obviously not a medical professional or a medical researcher. 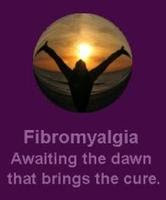 I am someone who suffers 24/7 from the pain of Fibromyalgia and the changes that it’s caused in my life. I am someone who can’t tolerate some of the drugs available. I have taken the drugs that do help for so long that they are losing their effectiveness. I know that everyone that advocates for a disease thinks that all research money should go to their researchers. And I do understand that businesses need to show a profit to stay in business. All that I ask is that the drug companies at least maintain their current levels of research. Maybe they won’t see much financial reward from it in the next ten years but they may find “the drug” that will be the answer for us. The drug manufacturers have the ability to give us hope not only for us but for those who follow after us. The people who do seem to have the knowledge don't have the desperate (personal) need to find a better way.